Tired of the usual fast food, there's this saying that nothing beats home cooked meals. This is exactly what they have at NONO'S. 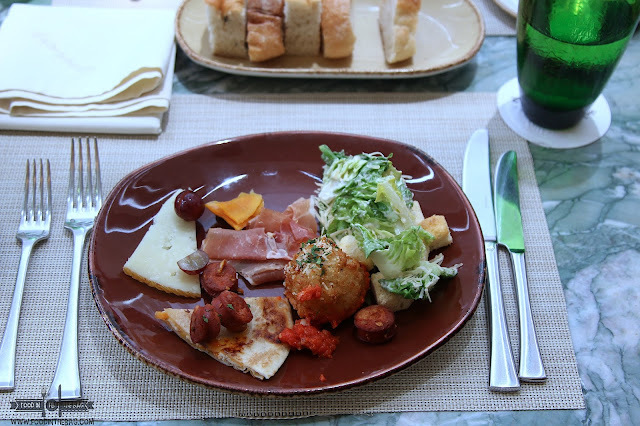 Dishes that are from the heart and filled with familiar memories. 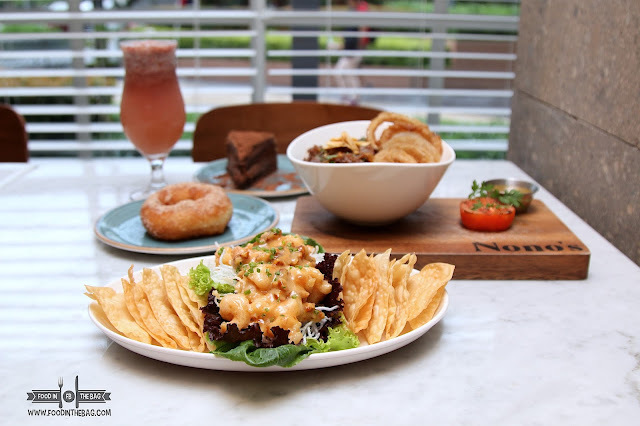 A quick snack or a long lunch, NONO'S at UP TOWN CENTER KATIPUNAN could be the place for you to relax and enjoy the day away. 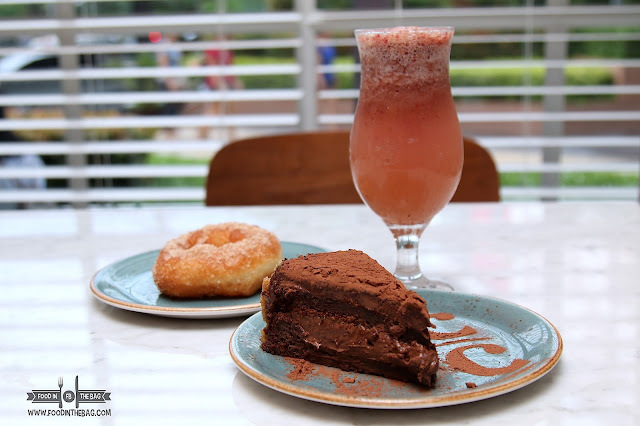 Located on the first level of UP TOWN CENTER KATIPUNAN, Nono's is from the same people behind CBTL. As such, you are assured of quality dishes and delicious drinks. For starters, one could have the SHRIMPS with CANDIED WALNUTS. Consider this as pica-pica. 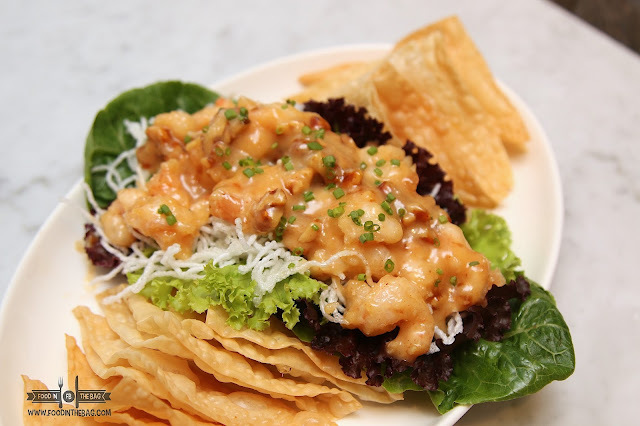 You have crispy fried wantons as base and you add as much shrimps and nuts as you want. Something new to their menu, the truffle cream pasta is another must try. Once served, you get to smell the truffle making you crave for more. 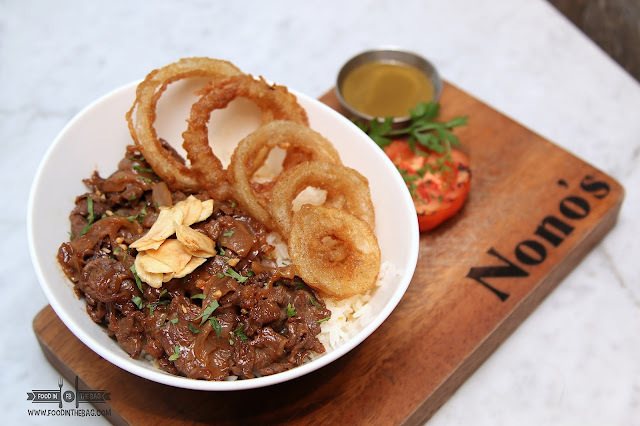 Two entrees that might be great for sharing would be the PINOY STYLE BEEF STEAK and the HOMESTYLE FRIED CHICKEN. The beef steak uses USDA and is very tender. Although a bit on the sweet side, this dish might be better off named as tapa. Usually, Pinoy styled beef steak are sour in nature because of the calamansi used. This isn't true here. The Fried Chicken though, is somewhat familiar. Almost similar to a local restaurant chain's flavoring and texture profile, this works well with the gravy and the honey on the side. 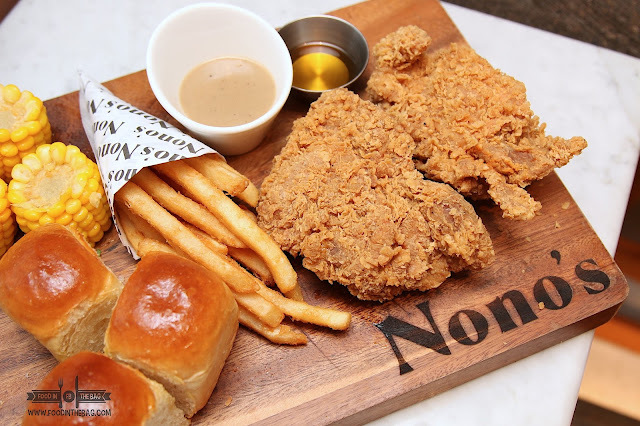 Nono's is a no frills all day cafe dining. One could relax and enjoy a bite of their freshly made cakes or pick a drink from their long list of drinks.